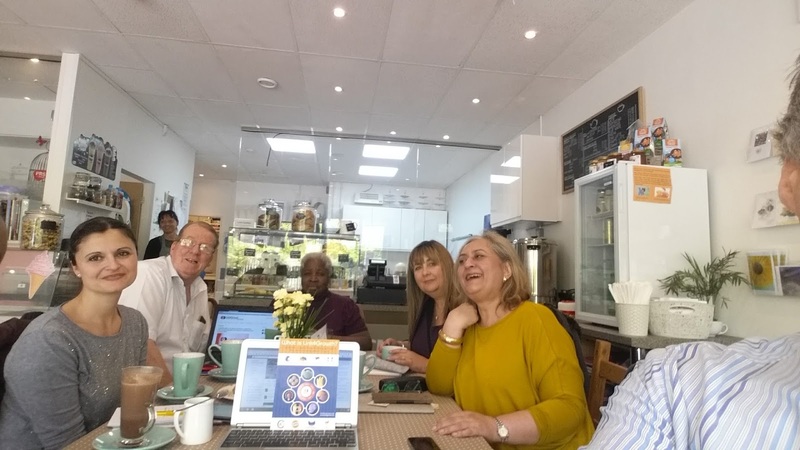 L4G South West Herts District: What was this bunch of people doing in the Kitchen Croxley today? What was this bunch of people doing in the Kitchen Croxley today? We were having fun but what else? Sharing knowledge, expertise, tips and generally supporting each other in our businesses. Once a month... soon to be twice a month, the +The Kitchen Croxley plays host to an informal working lunch. A FREE to attend event where local business people can come and work together with the specific Intent of helping each other get over hurdles, around obstacles and move on in their business. Accounting... when you are starting out what do you need... bookkeeping... filing... sole traders... partnerships and limited companies..
What to do after a networking event..
Where to go (apart from today's session) in SW Herts for quick answers, support advice and guidance at no cost (except buying your own refreshments)... so that you can move on in your business without spending a fortune. Big thanks to +linda anderson and the team at the Kitchen for fabulous sandwiches and an endless supply of tea and coffee which kept us going throughout the session.